At Oakcrest we strive to guide our students to grow one day at a time. Exploring and discovering any new school is a challenge and we welcome the chance to partner with parents and prospective students as they discover what makes students thrive at Oakcrest. Founded in 1976, our roots go deep and our commitment to educating the entire person has never wavered. 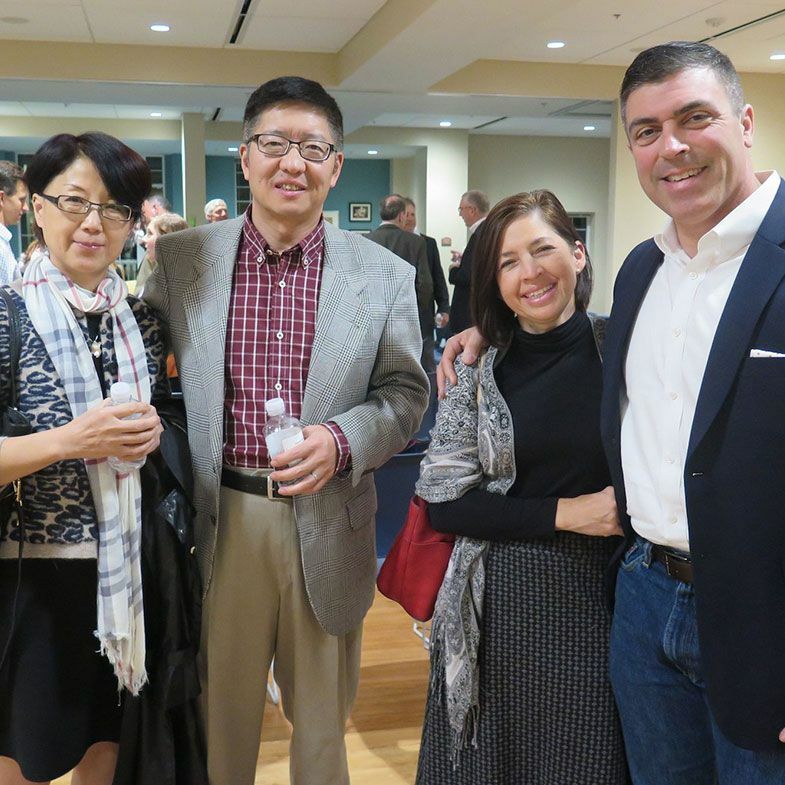 Our 23-acre campus in Vienna, Virginia brings together outstanding teachers and students who cherish the personal and dynamic education we offer. Oakcrest’s rich liberal arts curriculum offers both depth and breadth in an array of subjects. Whether it’s reading and writing about great literature, delving into history or exploring the sciences, our courses spark students’ intellectual curiosity and love of learning. Discover what it’s like to be an “Oakie”— a young woman who strives to develop her character, intellect, and faith on her way to becoming a leader. Oakcrest provides a competitive atmosphere for our Middle School and varsity teams in 17 different sports including basketball, cross country, soccer, softball, tennis, track & field, and volleyball. Visual and Performing Arts at Oakcrest emphasizes creative thinking, experimentation, and the development of a sensitive appreciation and respect for the ideas and efforts of others. 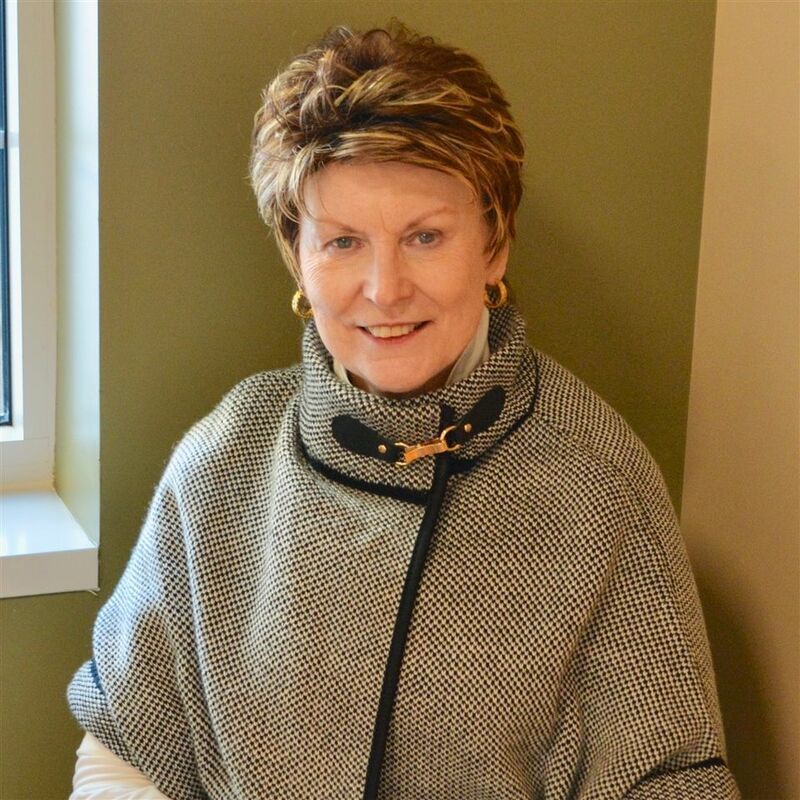 Whether it be through a traditional gift, a gift of stock, IRA distribution, real estate, insurance or through your estate plan, your financial support makes it possible for Oakcrest to develop future Trustees of Humanity. Join us on May 4 as we celebrate our alumnae mothers and grandmothers with Mass and Brunch. Oakcrest School, in partnership with parents, challenges girls in grades 6-12 to develop their intellect, character, faith, and leadership potential to thrive in college and throughout their lives. 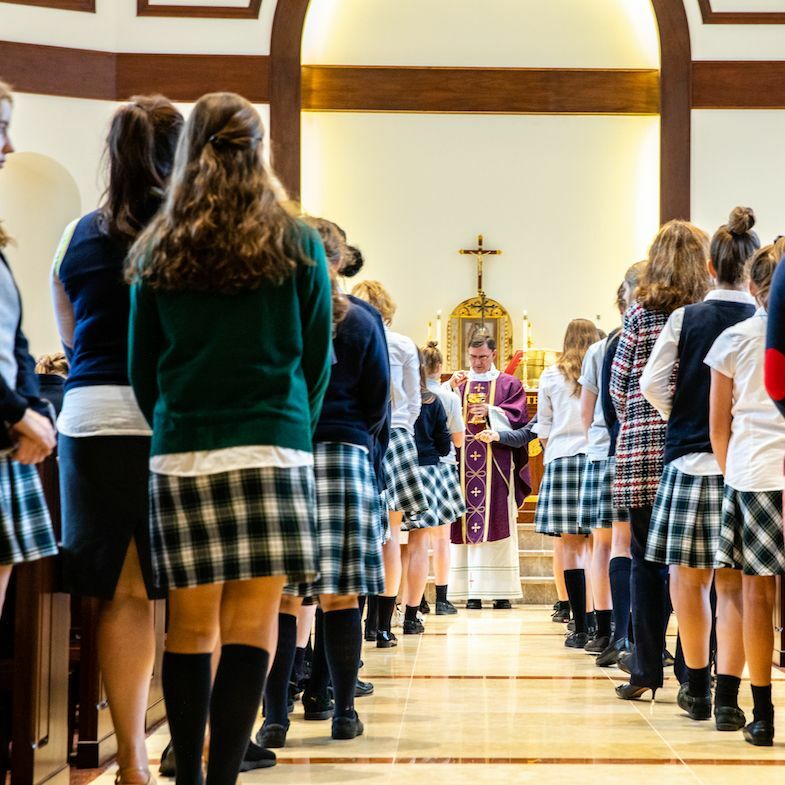 Guided by the teachings of the Catholic Church and the spirituality of Opus Dei, we weave together a rich liberal arts curriculum, character development, one-on-one mentoring and service to create a vibrant environment that graduates confident, young women–young women who will make a difference in all they choose to do. Oakcrest offers an education grounded in the teachings of the Catholic Church and the spirit of Opus Dei, a personal prelature of the Catholic Church. We are committed to supporting parents as the primary educators of their children. 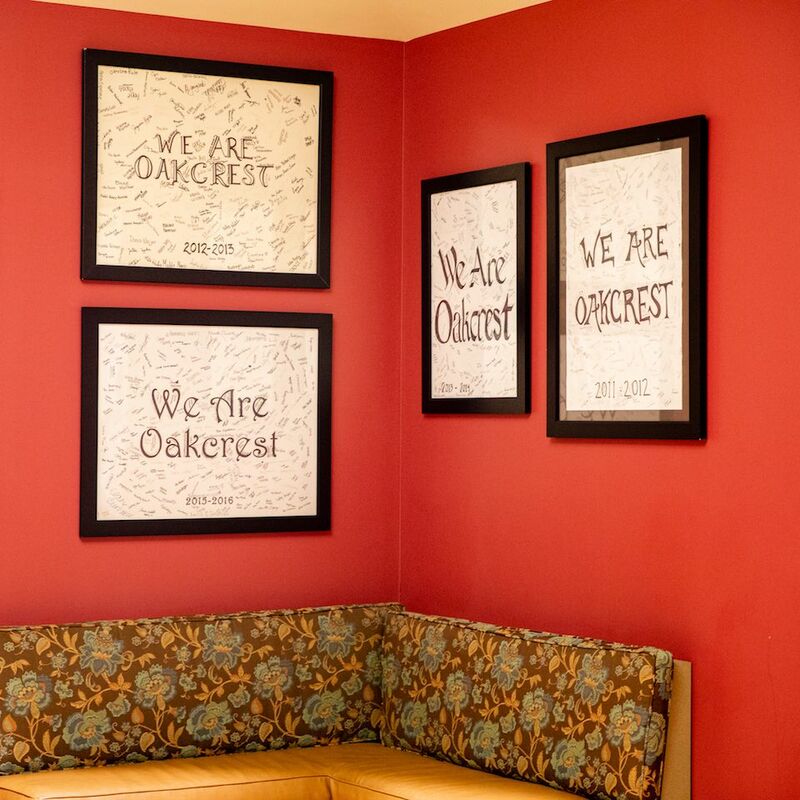 The whole family benefits from the Oakcrest experience. The cornerstone of a student’s education at Oakcrest, our mentoring program encourages, guides and supports each student as she strives for academic excellence and personal growth. Our faculty pay attention to the needs of each student. Your daughter is encouraged to step outside her comfort zone in the classroom and after school. As a result, she grows in wisdom and virtue. 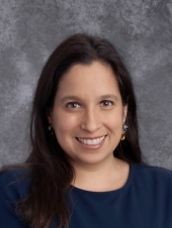 Dr. Celia Zamora, Foreign Languages Master Teacher at Oakcrest, has been named the recipient of Georgetown University’s 2019 Harold N. Glassman Dissertation Award in the Social Sciences. 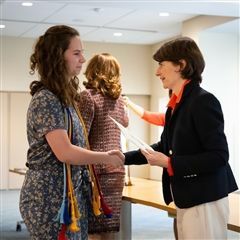 Oakcrest inducted 57 students in grades 10-12 into five honor societies at an official ceremony on April 8. 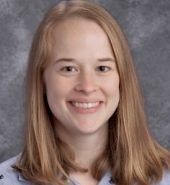 Oakcrest theatre teacher Camille Pozderac will star in Silver Spring Stage’s production of The Importance of Being Earnest, running May 17 – June 8, 2019. Annie Howard (’25) started her journey as an Oakie this year in sixth grade. Over her first two semesters here, she’s learned a lot, tried different extracurricular activities, and enjoyed making Oakcrest her home. Alexandra (Gadiano) Haraczy (’12) keeps the lessons she learned at Oakcrest close by every day. 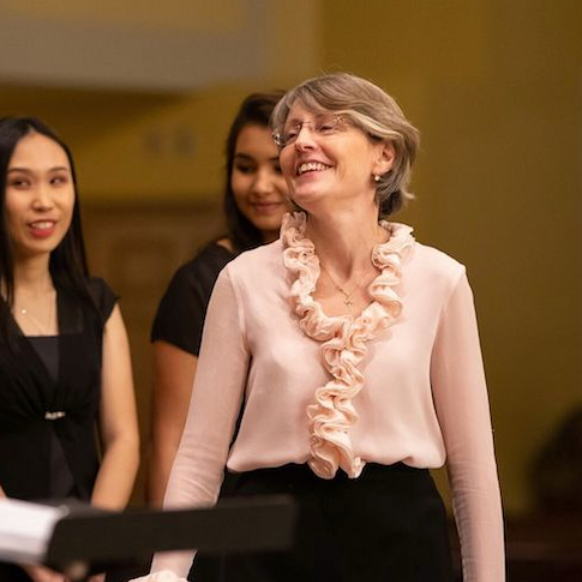 "Music can add beauty to students' lives," says Oakcrest Music Master Teacher Anne Miller. 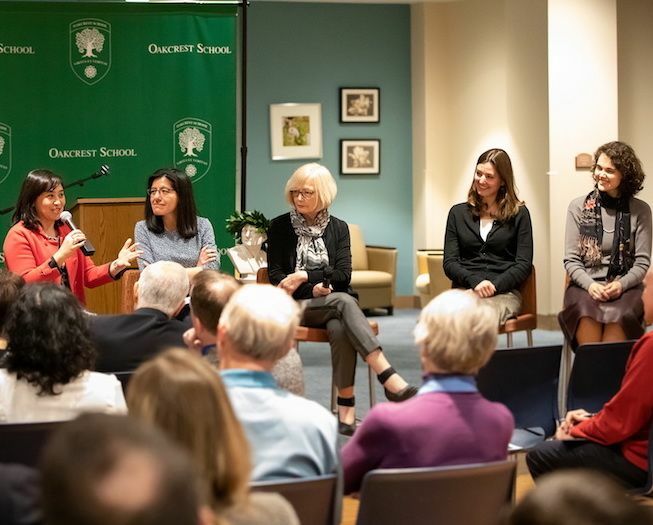 Science teacher Angela Fortunato, English and classical languages teacher Elizabeth Black, history teacher Ginny Boles and Theology teacher Holly Salls share how they tell the human story in each of their subject areas. 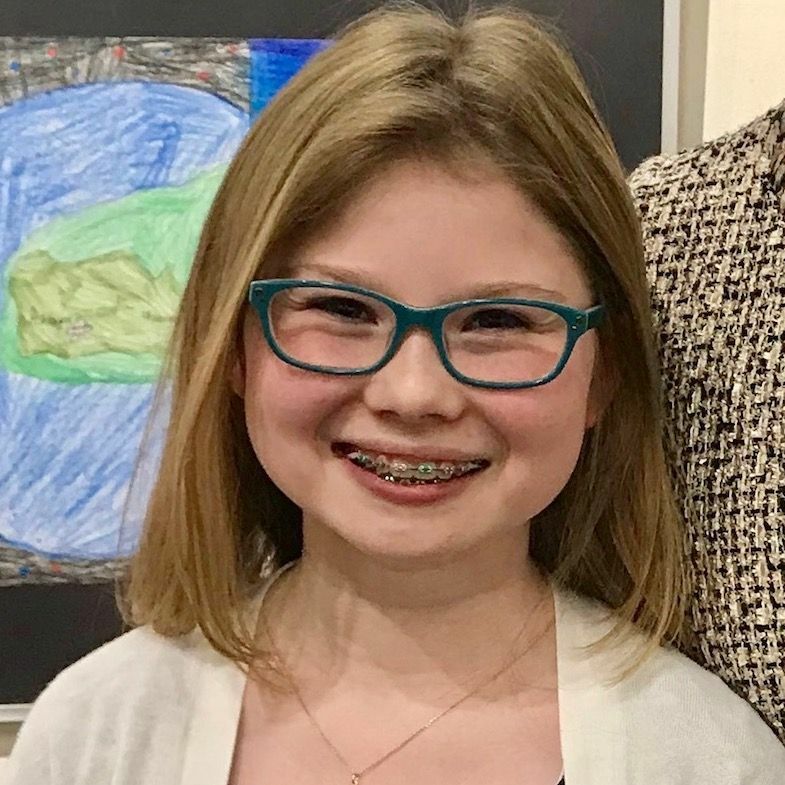 Oakcrest parent Amy Miller—mom to two current Oakies, one alumna and one future Oakie—talks about how she made the decision to send her daughters to Oakcrest and why she's so happy that she did. 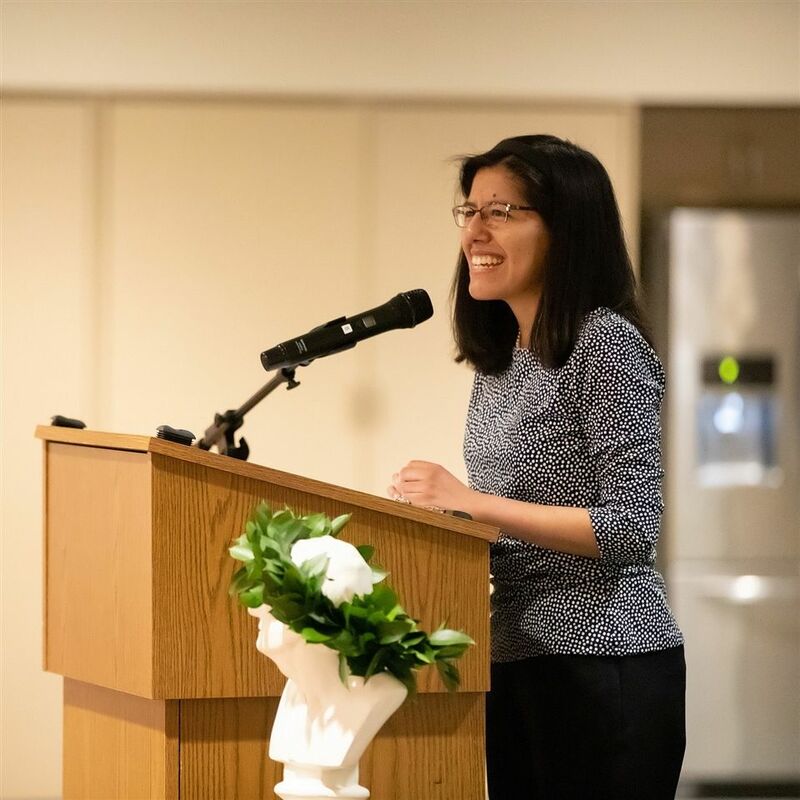 In an address given for Oakcrest's Fifth Annual O'Donovan Humanities Lecture, Oakcrest Classical languages teacher Paula Rondon-Burgos discusses the life of Marcus Tullius Cicero, a first-century B.C. Roman statesman. At the end of the Oakcrest journey, a girl leaves empowered to make a difference in the world around her and to continue discovering who she is and how she can best fulfill her vocation, which is truly the quest of a lifetime. We feel Oakcrest is truly the best investment we could possibly make for our daughter, because it educates not only her mind and character, but most importantly, her soul and sense of belonging in the world. I love Oakcrest for the family it gives me. My classmates aren't just the kind of people who make me feel good, they challenge my ideas and discuss their dreams and direct my actions towards good and beautiful goals. 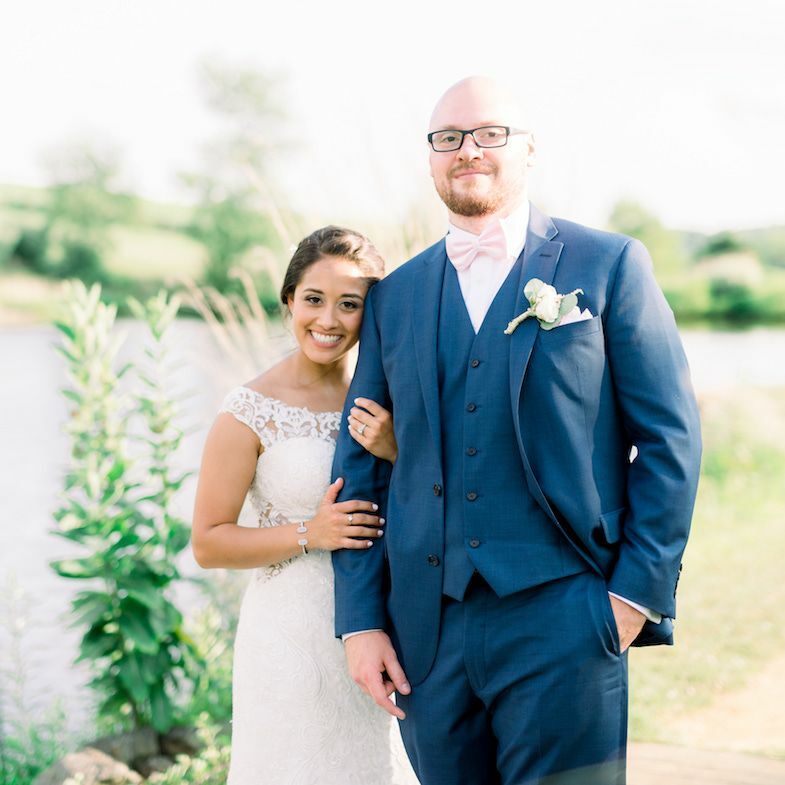 We are all working to make each other better people, and Oakcrest encourages those kinds of true relationships to form and flourish. From day one, Oakcrest was a very welcoming community. 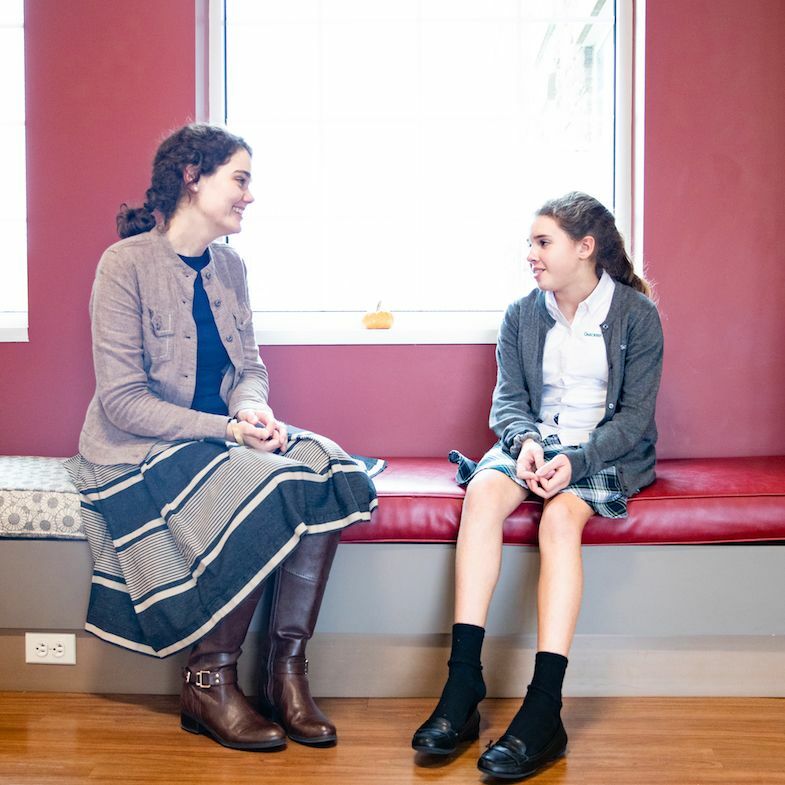 From the front office personnel, to the admissions team, to the Head of School, Oakcrest exemplifies the type of ambiance you want to raise your daughters in: respectful, faithful, intellectual and joyful. Oakcrest gives girls a safe space to learn to be themselves. Girls are able and encouraged to be themselves, try new things, develop their passions, grow in faith and learn deep work without any negativity and constant encouragement. Overall, Oakcrest creates an environment where girls become strong in their personal identity, faith, friendships, and academics. Oakcrest awakens confidence in girls and forms them to be strong, independent women who are ready to face the world. Oakcrest girls are determined and motivated. They have big dreams and are always striving to do their best and explore their passions.